The bright light beams project from the center of the cross amidst a bridge of life sunset background in this glorious memorial fan design. A great idea and unique memorial to stay cool during those warm days. A perfect accompaniment to the matching designed program, bookmark or prayer card. 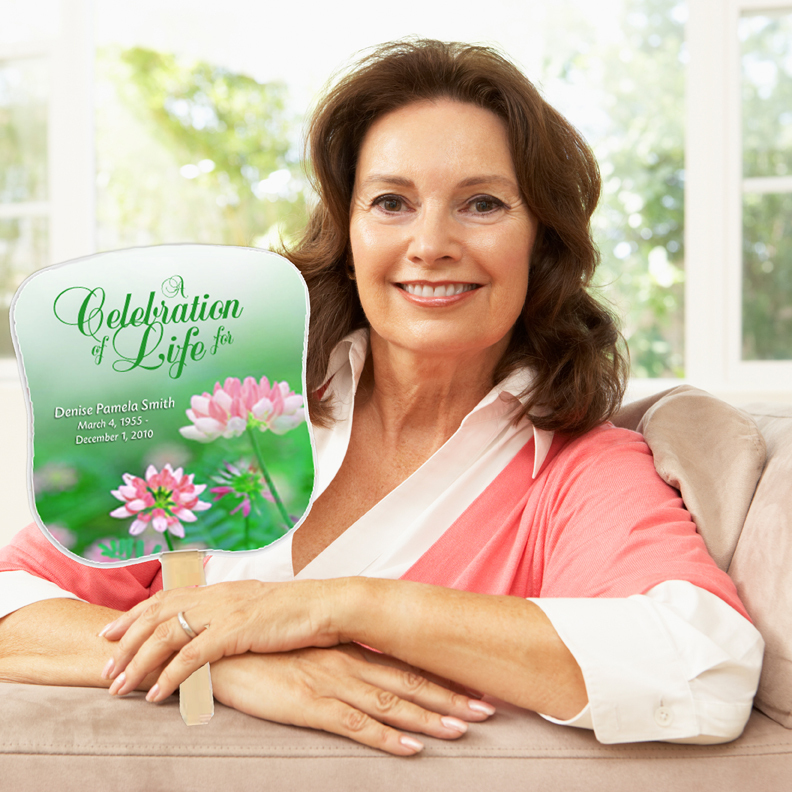 The colors for this memorial fan are orange and lavender hues.